What: A line of rubber figures featuring martial artists in various poses. As you can see in the above photo, they came in light blue, blue, yellow, orange and green, but I clearly remember seeing at least one other color (pink) in the vending machine where I got them. My guess is they are bootlegs of some Japanese keshi line, but I don't know what. Where: These came out of a department store vending machine. I think I only ever saw them in that one machine. 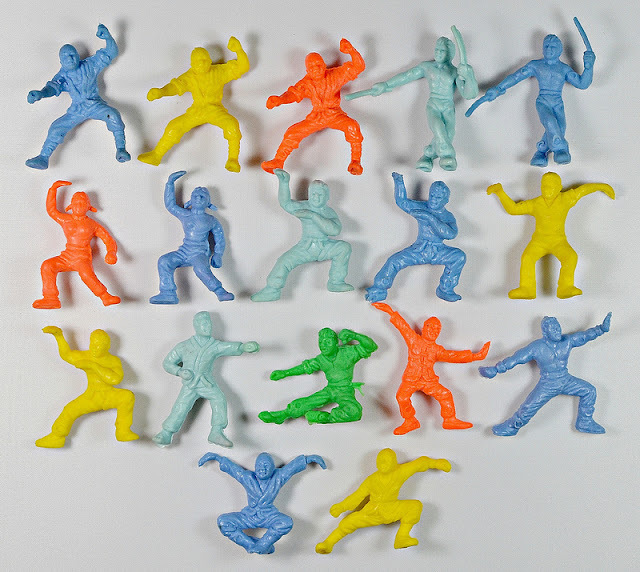 A lot of those poses remind me of the video game Yie Ar Kung Fu.